This is a simple small modal designed with a return user in mind. Quick, painless and to the point…name, password and you’re done! There is a state available for the “active” field as well as the “inactive” field. 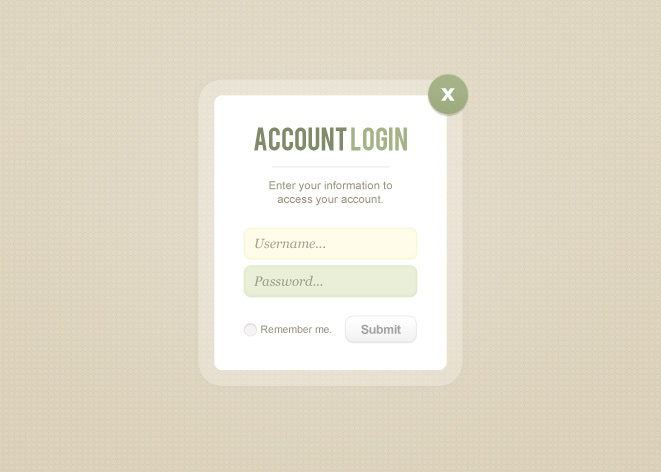 The form would be great to use on a nice earth toned site design with outdoor inspiration…or whatever you wish. Enjoy!